Those who know me, know that this time of year is not just Spring but time for the NHL’s Stanley Cup playoffs. 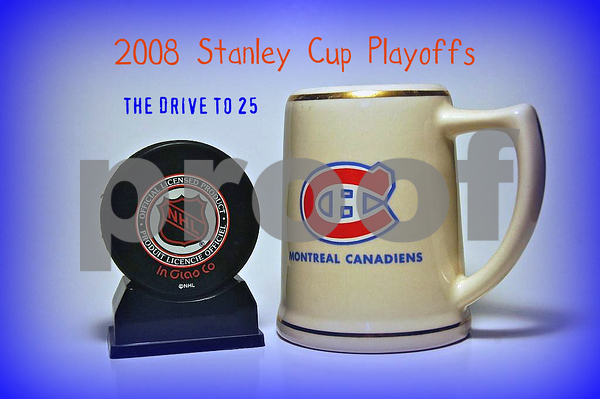 I’ve followed my team, the Montreal Canadiens, since I was introduced to hockey back in 1968. Watching Hockey Night in Canada(HNIC) in the living room of my parent’s friends house I was immediately enthralled by the speed and skill of the game. After missing the playoffs last year, the Canadiens are back in going for their 25th Stanley Cup in their 99 year history. Yes, this time of year, it’s all about the Cup, the Stanley Cup. HNIC boasts what I believe is THE best theme music of any sport on television. It’s so good, it’s been featured on every HNIC broadcast since 1968. Hear for yourself at about the 44 second mark after a long intro. Sorry, CBC really should consider going back to the original. This entry was posted in Sports, Weekly View and tagged hockey, montreal canadiens, Photography, stanley cup. Bookmark the permalink.